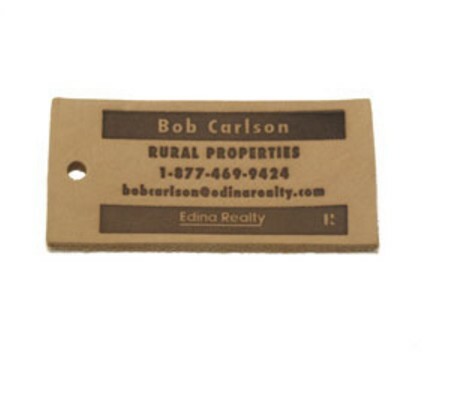 Our tags are the perfect way to customize your designs. Each one is cut from natural buffed leather then branded to your specifications. Fastener hole optional. Overall Size: 3" x 1/2"
Imprint Area Size: 2 1/4" x 1"